Have you ever wonder how your derailleur worked? How to get your brakes to stop squeaking? Or even how to change a flat? Starting January 2017, we will be offering Park Tool School. 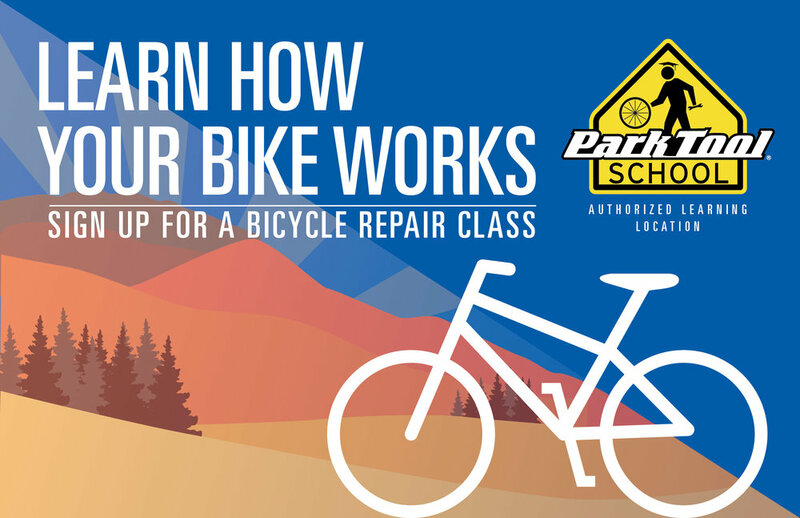 Park Tool School is a hands-on bicycle maintenance and repair clinic written by Park Tool and taught by your local bicycle experts. Classes will range from novice to advance level. Topics include flat repair, wheel truing, derailleur systems, and brake systems, etc. Classes will take place here at Zach’s Bikes, in our service area. Classes range from 2-3 hours long; and consist of a lecture and a lab. Learn common troubleshooting, proper use of tools and apply that knowledge during lab time. 3 Day Class, Tuition $100 includes Park Tools text book. March 2,16,23 at 5:30pm. Learn basic bicycle repair. Topics include flat repair, brake service and gear adjustment. Ideal for someone new to cycling and wanting to understand the different bicycle parts and their function. 4 Day Class, Tuition $110 includes Park Tools text book. January 25, February1,8,15 at 5:30pm and January 28, February 4,11,18 at 9am. This Class covers topics of the novice class but gets more in depth and more hands on. Ideal for someone who has tried some basic repairs and has knowledge of most bicycle parts. Classes available include, Tire and Tube, Disc Brake Service Class, Wheel Truing Class, Derailleur Systems Class. Class sizes are limited so let us know what class you are interested in. If you would like to receive email updates for this and future events, sign up for our mailing list on our Contacts page. If you have further questions call us at 541-851-9200.